Here’s That Rainy Day is a jazz ballad composed by Jimmy Van Heusen. 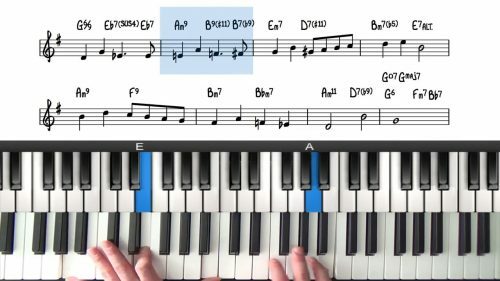 Written in the key of G Major, the tune follows a 32 measure A-B form. It’s been widely recorded by many different jazz musicians over the years, the Bill Evans recording is definitely worth checking out if you haven’t already. 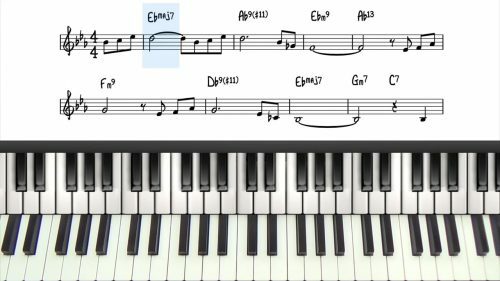 The tune contains a lot of interesting melodies and harmonies which lends itself well to chord substitutions and reharmonisations. We’re going to play once through with simple root based voicings and then the second time through we will add in chord extensions, alterations and also reharmonise sections of the tune. We add dominant passing chords throughout the form and also sprinkle in applications of suspended harmony resolving to altered dominant chords. It’s also a nice to apply inner voice movement. 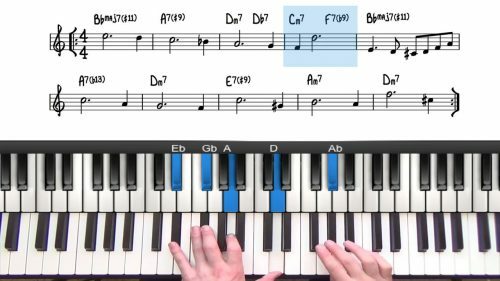 There is a lot of space in the harmony which can be filled with the minor line cliche and also 5-#5-6 movement over the major chords. This tune has been recorded by many notable jazz musicians... some of our favourite recordings are the versions by Chet Baker, Bill Evans, and Wes Montgomery. Remember to spend the time to listen and study the recordings of the jazz standards you are playing.